Winter is getting closer and closer each day. Darker evenings, shorter days and colder weather. 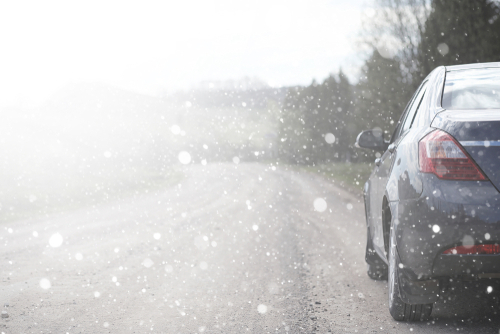 It’s never a fun task to drive in winter conditions, but it’s always important to make sure you do so safely. Read on to find out the most important things to do before setting off. At Freeway Exhaust & Tyre Centre, we want to ensure all of our customers drive safely this winter. If your car is scheduled for a service, we would recommend that you get it done before winter. This can help to prevent any problems that may occur as a result of the cold weather. The cold can cause problems for your car but with regular checks and servicing, lots of these can be avoided. Your car should be serviced at least once a year or every 12,000 miles, so it’s important to make sure you get it done. If your car is serviced regularly and is looked after, you’ll be less likely to come across any issues in the future. No matter what type of tyres your car has, you should always check them, especially in the winter. The recommended tread depth for your tyres is 3mm in the winter, even though the legal minimum is 1.6mm. A 3mm depth will provide a much better grip for the tyres, which is vital in the winter when the roads are frozen up or icy. You can also buy tyres for the winter. Winter tyres are designed specifically to be able to cope with the roads when they are covered in ice or snow. The tread in most tyres begins to harden and lose grip when the temperature drops, whereas winter tyres stay flexible and are able to grip on the road. Winter tyres are a much safer option if you choose to drive in poor weather conditions such as snow. The engine coolant should be 50% water and 50% anti-freeze. Anti-freeze is an additive that stops of the water from freezing. If your engine coolant freezes then this can cause issues with the engine and its system. With the colder weather coming, you’ll want to make sure that you have enough coolant to last. Always ensure that your coolant has the right amount of anti-freeze, otherwise, it could freeze up. You can check this yourself with a specified kit or a garage can check this out for you if needed. We are already experiencing shorter days and they will continue to get shorter as we get closer to winter! Therefore, it’s extremely important that your lights are working properly. If your lights don’t work, it will become increasingly difficult for other drivers to see you, and you’ll struggle to see the roads ahead yourself. Make sure to get both your front lights and rear lights, as well as your reverse light. You may also want to check your fog lights too as you may need to use these in extreme weather conditions. Not driving isn’t always an option, but we would highly advise that you only drive if you absolutely have to. When the weather conditions are poor, visibility becomes difficult. An accident is much more likely to occur if you are unable to see properly or if the road is icy, so take all precautions to minimise the risks. If you have to drive, ensure you have checked all of the above that we have listed in this article, and drive safely.